Blockchain IoT is a bit of a buzzword right now. All transactions are linked by a chain. This attribute makes it impossible to modify the Excel file after the fact without recalculating all of the proofs of work since the file first came into existence. In this way, the file is protected against any attempt at modification. For the time being, this type of technology is mainly restricted to cryptocurrencies, but lately, I’ve been wondering about the use of blockchain in the IoT. What prospects would blockchain make available if it were applied in the IoT space? Are there any examples of IoT solutions making use of blockchain? Firstly, I recommend you watch this video. This project is aimed at showing how blockchain can contribute to solving security, identity, and privacy issues for millions of connected devices. I don't necessarily agree with everything that is said in this video, but it is interesting nonetheless because the creators are truly taking an interest in the kinds of business models that could appear with blockchain applied to IoT. The calculation power needed to carry out the proof of work. For example, the power consumption used for bitcoin proofs of work is nearly equal to the power consumption of Denmark. It seems difficult, then, to carry out this kind of operation on a processor with limited calculation power, like those used on IoT devices. The number of transactions per second, which is extremely limited in any case. For example, bitcoin can carry out a maximum of three to four transactions per second. The blockchain storage, which contains the entire history of the transactions (Bitcoin’s blockchain comes in at 155GB). I believe that the concept is not yet fully developed. Overall, it looks a lot like Ethereum, with algorithms better suited to small processors. In conclusion, I believe that everyone is looking, but that there is not yet any miracle solution for the time being. Nevertheless, this kind of technology could be of real interest for the IoT space. Beyond allowing payment to be completed between devices without involving a third party to validate the transaction. This technology could also be used to exchange data between devices that, in some way, trust one another, without needing to consult a third party. 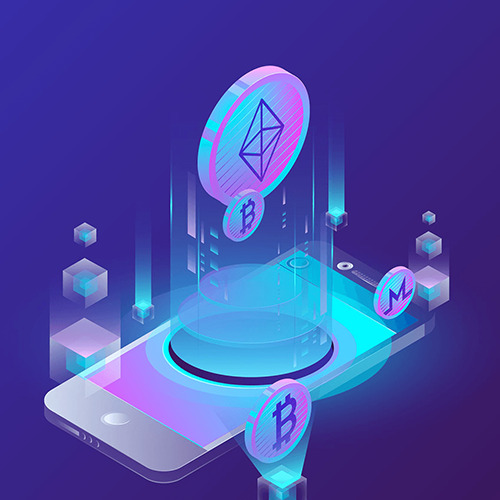 Thanks to a blockchain, this relationship of trust would be created with proofs of work, while still enabling a guarantee of the identity of the different devices and saving a history of all these exchanges. Will the devices that are part of our daily lives one day be able to communicate securely, without needing a third party to validate their identity? I don’t know the answer to that question, but blockchains are very likely to be a part of it.